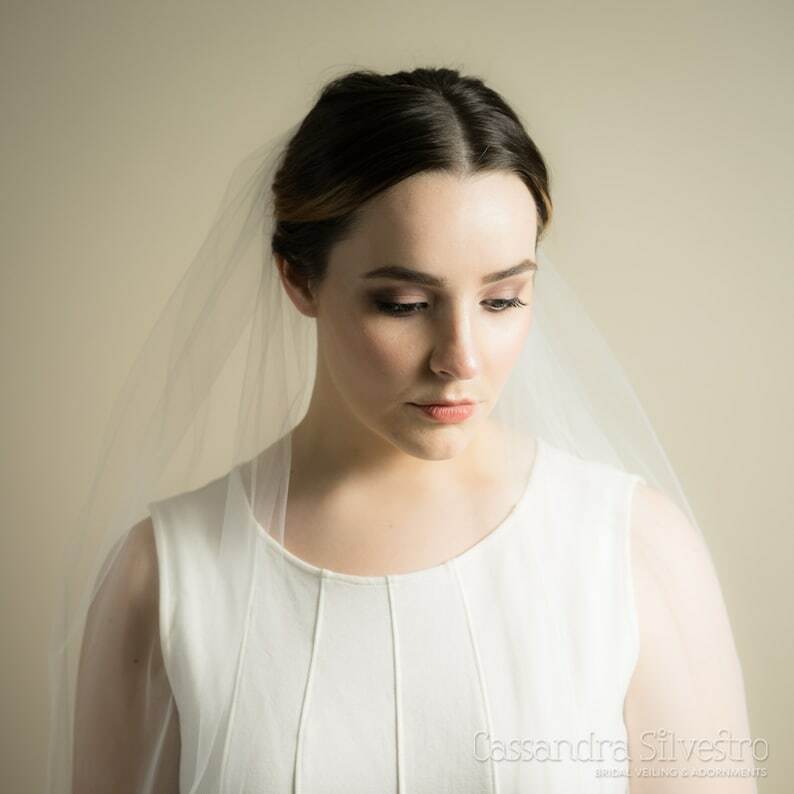 This beautiful, single layer, raw edge veil is custom handmade to order using only the highest quality, and softest bridal illusion tulle available; and is hand sewn with precision and care to a silver metal comb giving it the perfect amount of volume and gathering. 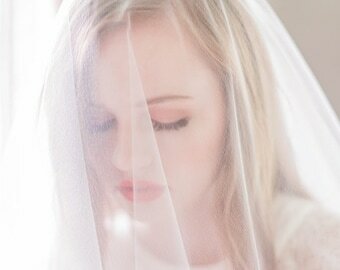 The gorgeous bridal illusion tulle is fabricated in New York (!) using the the highest quality nylon thread and a fine mesh weave pattern, making it the softest available. The fabric is also flame resistant and the manufacturing process does not use any of the flammable solvents that are used in lower-quality tulle production, which is so important for such a light fabric being draped around your body! 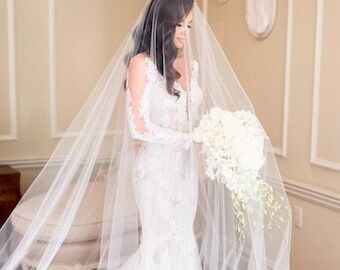 The veil features a 60" width and your choice of length in the back. It is available in blush pink, white, diamond white, light ivory or ivory. The white is a stark, bright white and the diamond white is a soft, slightly off white. Gorgeous and excellent quality. I got many compliments on this veil. Beautiful craftsmanship and lovely handwritten note. Seller is responsive and sweet! It’s gorgeous, simple and classy and shipped fast. Thankyou! I am so happy with this veil! It's beautiful, soft and simple, just what I was looking for. It doesn't feel cheap or stiff, and will be perfect with my dress (I do recommend getting the fabric samples first to match! ).